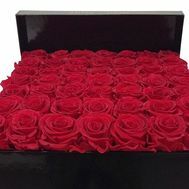 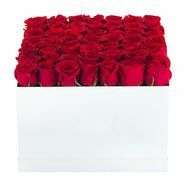 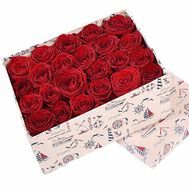 Roses in a square box are a new trend that has come to us from Europe. 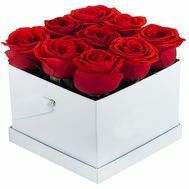 Flowers in a square box are more reserved gifts, which have their own special charm and charm. 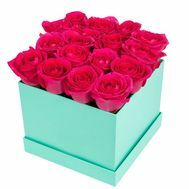 The square itself is a symbol of static impeccability, order and harmony. 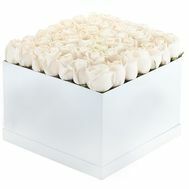 And because a bouquet of roses in a square box causes a sense of calm, comfort and warmth. 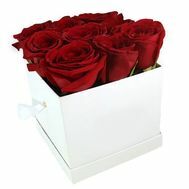 Buy a box of flowers with delivery - it's easy and profitable for us. 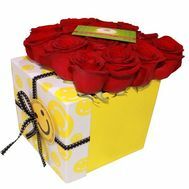 Just a few mouse clicks - and the best, brightest and most original gift in the box with a 100% quality guarantee will find its recipient! 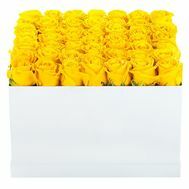 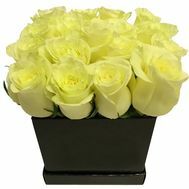 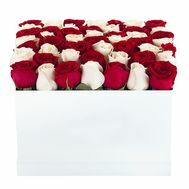 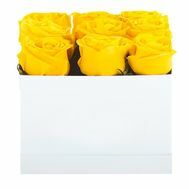 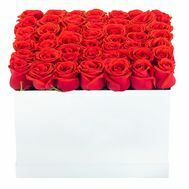 In our store you will find the largest variety of roses in boxes for every taste! 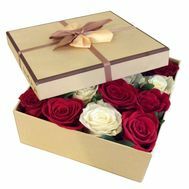 Our professional florists will make sure that the order you made leaves only pleasant impressions. 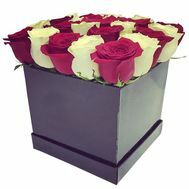 Wonderful roses presented in a new way! 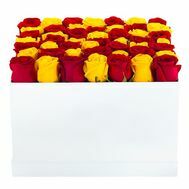 Buy roses in a square box can be practical on any occasion. 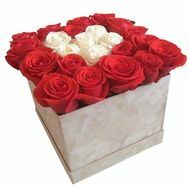 They will be happy for both friends and your brother on February 23. 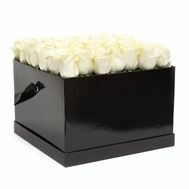 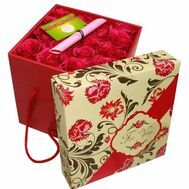 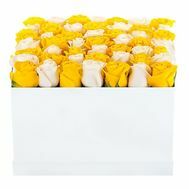 The versatility of roses in the box makes them an excellent choice for everyone.. 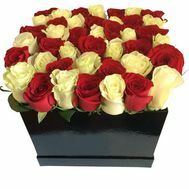 Here you can order flowers with delivery to any city or village. 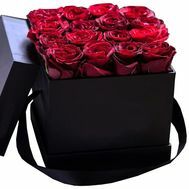 Delivery of flowers in Ukraine is carried out by professional courier service, which guarantees speed and reliability. 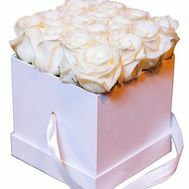 In addition, after handing the bouquet straight to the hands, we can make a photo of the recipient as evidence of their work. 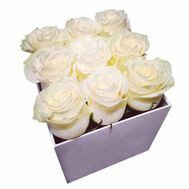 The archive of already taken photos can be viewed on our website. 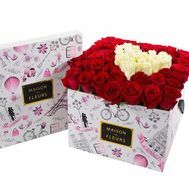 In addition, for our clients we provide many pleasant actions and discounts for flowers!